Get Control on your speakers and music. Q: How do I clean my ULTIMATE EARS BOOM? A: If your ULTIMATE EARS BOOM looks like it needs a pick me up after a few too many long nights and crazy adventures, try the following to renew it. You’ll need a water wand or a spray bottle, dish soap, and soft bristle brush. Moisten the fabric on your ULTIMATE EARS BOOM with water using a water wand or spray bottle. Wet a soft bristle brush with soapy water and lightly scrub the skin of your ULTIMATE EARS BOOM. Quickly rinse the soap off or wipe with a damp cloth and let dry. You’ll need a cotton or microfiber cloth and a common household cleaner, like isopropyl alcohol or window cleaner. Or you can use disinfectant wipes. Apply some cleaning solution to the microfiber cloth. Wipe the rubber strap as well as the top and bottom caps. Wipe any excess cleaning solution off with a dry cloth. Q: How do I get support for my ULTIMATE EARS BOOM? The product information is located on the bottom of the speaker. Q: How do I setup my ULTIMATE EARS BOOM? You can connect your ULTIMATE EARS BOOM to your smartphone, tablet or other device using either Bluetooth® or the auxiliary input. Turn the speaker on by pressing the power button on the top of the speaker. The power indicator will glow white, the Bluetooth® connect button (above the power button) will blink white rapidly, and you will hear a tone indicating the speaker is ready to pair. On your device, go to the Bluetooth® menu and scan for devices (make sure Bluetooth® is enabled). Select ULTIMATE EARS BOOM from the list of devices. NOTE: ULTIMATE EARS BOOM volume is set to maximum when you pair it to an iOS device. Once paired and connected, you’ll hear an audible confirmation from the speaker. This means your ULTIMATE EARS BOOM is ready to use. You can pair additional devices with your speaker. Turn the speaker on by pressing the power button on the top of the speaker. Connect the speaker to your device using a 3.5mm analog cable (not included). NOTE: Use only a 3-pole (non-microphone or inline remote cable) auxiliary cable. NOTE: The USB connection is solely for charging and updating your ULTIMATE EARS BOOM. It won’t enable you to use your speaker as an audio-output device when connected to a computer. Q. I get an error when installing the ULTIMATE EARS app on my Android 6 (Marshmallow) mobile phone. What should I do? Q: The battery on my ULTIMATE EARS BOOM ran out overnight and my back up alarm didn’t go off on my iPhone (or iPad). Why? Q: Why did the volume steps change when I updated my ULTIMATE EARS BOOM? What is different? A: Just like you, we use our ULTIMATE EARS BOOM all the time. The more we used it though, the more we started to feel that the jumps in volume at the lowest volume steps were too great. Specifically, it wasn't always easy to find the 'perfect' volume–the music seemed just a little too loud or little too quiet. To fix this, we smoothed out the volume steps to make them a little closer together and we made the increases in volume more consistent. Whereas the first few of steps previously increased the volume by an average of 8 or 9 decibels, the volume increase in the first steps now averages closer to 5 decibels. For you this means that finding the perfect volume for any song is now much easier. And don't worry, this has no discernible impact on the max volume of ULTIMATE EARS BOOM; just in how you get there. And for inquiring minds, here is a chart that demonstrates the exact differences between the previous volume steps and the new volume step. Q: Can I set multiple Alarms on my ULTIMATE EARS BOOM? A: You can set your alarm to repeat by selecting the “Daily Repeat” option. You can only set one alarm, however, and can not set multiple alarms for different times of day. Q: What if my ULTIMATE EARS BOOM dies, will my alarm still play? A: A backup alarm will play on your phone or tablet. Q: Can I use the alarm in Double Up mode? A: Your alarm will play on the primary ULTIMATE EARS BOOM that it was connected to when the alarm was set up. It will not play on two ULTIMATE EARS BOOMs, even if you last used them in Double Up mode. Q: If I travel across time zones, will my alarm automatically adjust to the new time zone? A: When you cross different time zones, your ULTIMATE EARS BOOM alarm will NOT automatically change to the new time zone even if the clock on your phone changes. You have to adjust the alarm time in the ULTIMATE EARS BOOM app manually. Q: What music services can I use with my alarm? Play the music you would like from music service. This can be a specific song, a playlist or a radio station. Then go to the alarm settings in the ULTIMATE EARS BOOM app and select “Last Music Played”. Q: Why didn’t the music I selected, play, when my ULTIMATE EARS BOOM alarm went off? The music service or internet radio app you selected may not have activated.Your phone may be out of range of your ULTIMATE EARS BOOM -- make sure the two devices are within 50 feet of each other. The Bluetooth connection is Off on your phone or your phone is in Airplane mode -- make sure you keep the Bluetooth connection On. Your phone may have lost the connection to the internet/network. Q: Why did the alarm play on my phone (or tablet) instead of ULTIMATE EARS BOOM? Your phone may be out of range of your ULTIMATE EARS BOOM -- make sure the two devices are within 50 feet of each other. Your ULTIMATE EARS BOOM has no power -- be sure the battery on your ULTIMATE EARS BOOM is charged or the ULTIMATE EARS BOOM is connected to a power source. Someone else is using your ULTIMATE EARS BOOM when the alarm is scheduled to go off. Q: What happens if the phone that the alarm was set on is lost? A: The alarm will still go off on your ULTIMATE EARS BOOM with the back up alarm sound instead of the music you chose. To cancel the alarm, connect your ULTIMATE EARS BOOM to another phone or tablet and go through the normal alarm menu. Q: What happens if I turn the alarm app off and it is not running? A: Your alarm should still activate, but it may default to the Last Music Played option (instead of specific tracks from your Music Library) or ring the back up alarm. Q: What happens if I only select one song from my Music Library? A: That song will repeat until you turn the alarm off. After 1 hour, the alarm will turn itself off. If you snooze your alarm, it will play for an hour from the last snooze. Q: I’m awake, now what? How do I turn it off or snooze? Snooze by tapping the Snooze icon. Turn off your alarm by swiping the arrow from left to right. Snooze by pressing the Bluetooth button once. Turn off the alarm by pressing the power button. Snooze will delay the alarm by 10 minutes. If you don’t snooze or turn your alarm off, your music will continue to play for an hour. Q: How do I choose the music for my alarm? Choosing this option allows you to set the alarm music with the last song that was played from your phone or tablet. This can be music that is stored on the device itself or it can be music that was played from a music service (e.g. Spotify, Pandora, Deezer, etc). In the case of music services, you can select a specific song, a playlist or even a radio station. Choosing this option allows you to set the alarm music with any song(s) from the local music library on your phone or tablet. Q: How do I use the alarm on my ULTIMATE EARS BOOM? A: Before you can set an alarm on your ULTIMATE EARS BOOM, you will need to make sure that you have the latest version of the ULTIMATE EARS BOOM app and that your ULTIMATE EARS BOOM is up-to-date. The newest version of the app will tell you if your ULTIMATE EARS BOOM is up to date or not. To download the app, please visit Google Play or the iOS App Store. To update your ULTIMATE EARS BOOM, visit: www.ultimateears.com/update. Q: What can I do if my ULTIMATE EARS BOOM turns off with a “Critical Battery” message even though it is fully charged? Plug your speaker into a USB port on your computer using the supplied USB cable. Turn your ULTIMATE EARS BOOM on. NOTE: Your operating system may install USB software automatically. Disconnect your ULTIMATE EARS BOOM from your computer. Turn your ULTIMATE EARS BOOM off and then back on. Your ULTIMATE EARS BOOM battery error should now be corrected. Q: Can I use NFC to connect my device to my ULTIMATE EARS BOOM? Make sure NFC is enabled on your device (see your device’s documentation for help). Turn on your ULTIMATE EARS BOOM. You might need to place your speaker in pairing mode. Hold down the Bluetooth connect button (above the power button) on your ULTIMATE EARS BOOM until you hear a tone. Hold your device near your ULTIMATE EARS BOOM (right below the Volume + and – buttons) for up to 10 seconds. If prompted by your device, confirm the pairing. You’ll hear an audible confirmation from your ULTIMATE EARS BOOM when the pairing is complete. IMPORTANT: Your ULTIMATE EARS BOOM stays in pairing mode for 3 minutes. Be sure to try and pair using NFC within 3 minutes. If you aren't able to pair using NFC, see "Setting up ULTIMATE EARS BOOM" to pair using Bluetooth. 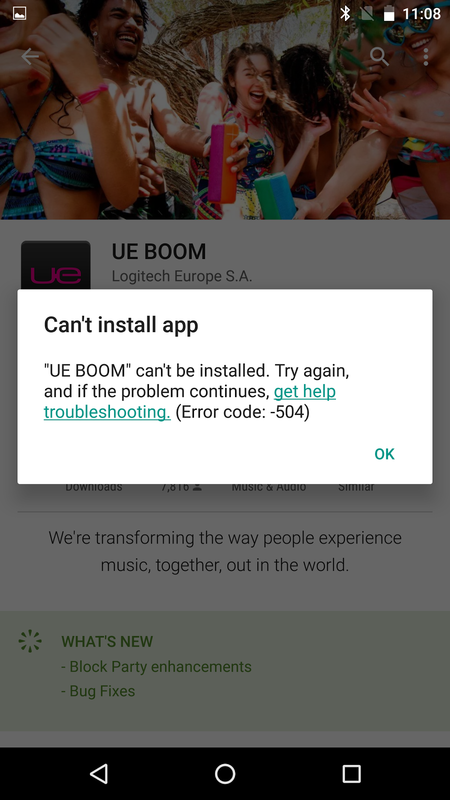 Q: Why is my ULTIMATE EARS BOOM app crashing on my Android device? Disconnect the second Bluetooth device from your ULTIMATE EARS BOOM. NOTE: You can disconnect it from the Bluetooth devices menu, or turn the device’s Bluetooth connection off completely. Stop and restart the ULTIMATE EARS BOOM app on the Bluetooth device you want to use. Turn your ULTIMATE EARS BOOM off, and then back on again. Stop and restart the ULTIMATE EARS BOOM app. Q. My two ULTIMATE EARS BOOMs don’t automatically Double Up, even though the Double Up lock is ‘ON’ in the app. What gives, ULTIMATE EARS? First, you will need to have connected the two ULTIMATE EARS BOOMs together at least one time. If you have not done that, then they won't know to look for each other and will not connect to each other. The easiest way to do this is via the Double Up section of the ULTIMATE EARS BOOM app. If they have already been Doubled Up together in the past, then perhaps you may have connected one of the two speakers to another phone or source device. In this case, you will need to Double Up again to reintroduce the two speakers to each other. If that isn't the case and your ULTIMATE EARS BOOM is not a polygamist then please make sure that both of your ULTIMATE EARS BOOMs are up to date with the new features. You can update your ULTIMATE EARS BOOM here. Q: How do I use the ULTIMATE EARS BOOM “Double Up” feature? Connect your first ULTIMATE EARS BOOM to your Bluetooth device. Open the ULTIMATE EARS BOOM app and tap the “Double Up” icon. Turn on your second ULTIMATE EARS BOOM. Tap Start in the ULTIMATE EARS BOOM app. Press the Bluetooth connect button on your second ULTIMATE EARS BOOM twice quickly. The two ULTIMATE EARS BOOMs will now be connected to your Bluetooth device. Double - Expands the audio to the two ULTIMATE EARS BOOM speakers for double the sound. Stereo - Turns the two ULTIMATE EARS BOOM speakers into Left and Right speakers (you can also swap left and right assignments using the app). NOTE: The "Double Up" feature can only be used with one connected Bluetooth device at a time. Q: Why can’t I select my ULTIMATE EARS BOOM from the iOS Airplay menu? A: If you have multiple ULTIMATE EARS BOOM speakers connected to one or more iOS devices, you might not be able to select which speaker to use with the iOS Airplay menu. If you have two Bluetooth sources, try disconnecting the second source and use only one source. For the best experience, install the ULTIMATE EARS BOOM app to manage switching between speakers. Q: How can I check how much battery charge my ULTIMATE EARS BOOM has? Press your speaker’s ‘plus’ and ‘minus’ buttons at the same time. An audio message will play telling you the current battery level. You can change the language of the message from within settings section of the app. Open the ULTIMATE EARS BOOM app. Tap the +/- area on the ULTIMATE EARS BOOM on the home screen to display the battery life while your speaker is on. Q: Why can’t I switch between two connected devices with ULTIMATE EARS BOOM? A: Some devices will hold a connection with ULTIMATE EARS BOOM even when the stream is paused or the connection is idle. Turn off the Bluetooth connection. This should allow another device to connect to your ULTIMATE EARS BOOM. Q: Why can’t my iOS device connect to my ULTIMATE EARS BOOM? Turn your iOS device off and then back on. In the Bluetooth menu on your iOS device, locate ULTIMATE EARS BOOM and tap the arrow next to it. Hold down the Bluetooth button (above the power button) until you hear a tone.NOTE: The Bluetooth connection button will blink rapidly, meaning the speaker is ready for pairing. On your device, go to the Bluetooth menu and scan for devices. Tap ULTIMATE EARS BOOM to pair. Q: What should I do if the audio is distorted or drops out on my ULTIMATE EARS BOOM? Move the audio source closer – it might be out of the range of your speaker. Move away from other sources of wireless signal – you could be experiencing interference. Make sure your speaker has enough battery power (connect it to a power source with the supplied adapter). Adjust the volume on both the audio source and your speaker. Restart both your speaker and the audio source. Re-pair your device with your speaker (see, "How do I pair additional Bluetooth® devices with my speaker?"). If you’re using two ULTIMATE EARS BOOM speakers (for Double Up), try disconnecting and streaming to one speaker only. NOTE: If you’re streaming audio content from the internet, the issue could be with the internet connection and not your speaker. Q: Why aren’t my ULTIMATE EARS BOOM controls working correctly when I use a 3.5mm auxiliary cable? A: The ULTIMATE EARS BOOM was designed to be used with a 3-pole (non-microphone or inline remote cable) auxiliary connector. You may experience unexpected behavior with controls if you use a 4-pole (with inline microphone and/or inline remote) auxiliary cable. Only use a 3-pole cable with your ULTIMATE EARS BOOM. Q: What can I do if the volume isn’t synchronized between my Apple device and my ULTIMATE EARS BOOM? Turning the Bluetooth connection on your device Off, then back On again. Turning your device Off, and then back On. Q: Why do I have audio problems when two devices are connected to my ULTIMATE EARS BOOM? Pause the stream from the second device that isn’t currently being used. Turn Bluetooth off on the second device. If the primary Bluetooth device is a Macintosh computer, select "Don’t use this device" from the Bluetooth preference pane in System Preferences. Q: Why won’t my Bluetooth® device connect to my speaker? Make sure your device is paired with your speaker and Bluetooth® is active (see, "How do I pair additional Bluetooth® devices with my speaker?"). Place your Bluetooth® device closer to the speaker – it might be out of range. Move your Bluetooth® device and speaker away from other wireless sources – you could be experiencing interference. If you have multiple ULTIMATE EARS BOOM speakers, make sure you’re connected to the correct one. The ULTIMATE EARS BOOM can be connected to up to two devices at a time -- make sure you don’t already have three devices connected. Turn your ULTIMATE EARS BOOM Off, then back On again. NOTE: If this is the first time you’re pairing a device with your speaker, you don’t need to press the Bluetooth® connection button. It comes out of the box ready to pair. Q: Can I use my speaker with more than one device at a time? Connect the first paired device to your speaker by selecting it from the device’s Bluetooth® menu. NOTE: If you haven't paired any devices, see "How do I setup my ULTIMATE EARS BOOM"
Connect a second device to your speaker the same way you did in step #1. NOTE: If you haven’t paired any additional devices, see "How do I pair additional Bluetooth® devices with my speaker?" Once you have two devices connected, you can start playing audio from one of them. To switch and play audio from another connected device, pause the current one. Then, start playing the other. Q: Can I use my ULTIMATE EARS BOOM app to turn my speaker on and off remotely? Q: How do I use my ULTIMATE EARS BOOM with a computer? A: You can connect your ULTIMATE EARS BOOM to a Macintosh or PC that has Bluetooth capabilities. From the Apple menu, select System Preferences. Open the Bluetooth preference pane. Click "+" to add a new Bluetooth device. 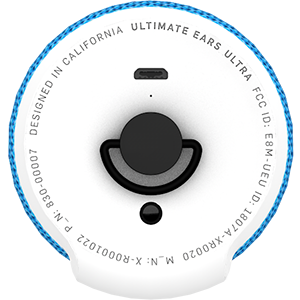 Select ULTIMATE EARS BOOM from the list of available devices and click Continue. IMPORTANT: The ULTIMATE EARS BOOM can also be a speakerphone, and the Macintosh operating system sets it as a headset device by default. On the Output tab, you’ll see both "ULTIMATE EARS BOOM" and "ULTIMATE EARS BOOM Stereo" select "ULTIMATE EARS BOOM Stereo". Select ULTIMATE EARS BOOM from the list of devices, and then click next. NOTE: If the Bluetooth Device Control window opens, expand the Headset type menu and select "My hands-free device ULTIMATE EARS BOOM does not have a display" and then click Apply. Select Manage audio devices (under Sound). Select "Speakers Bluetooth Hands-free Audio" and click Set Default. Q: How do I use my speaker for phone calls? Make or answer a call on your phone. A. iPhone – You’ll have the option to take the call on your ULTIMATE EARS BOOM (speakerphone) directly on your phone. Select "audio source" from the In-call menu, then tap ULTIMATE EARS BOOM to use it as a speakerphone. Adjust the call volume from either the phone or speaker. When you’re finished with the call, end the call on your phone. NOTE: Skype may or may not work on a Bluetooth speakerphone. This depends on your smartphone’s make and model, and Skype settings. Q: How do I pair additional Bluetooth® devices with my speaker? Your ULTIMATE EARS BOOM can store up to eight paired devices in memory.. Hold down the Bluetooth® button (above the power button) until you hear a tone. NOTE: The Bluetooth® connection button will blink rapidly, indicating that the speaker is ready for pairing. On your device, go to the Bluetooth® menu and scan for devices. Once paired and connected, you’ll hear an audible confirmation from the speaker. Your ULTIMATE EARS BOOM is now ready to use with the device you added. NOTE: While the speaker can store up to eight paired devices, it can only maintain an active connection with two of them at a time. On your device, go to the Bluetooth® menu and select ULTIMATE EARS BOOM from the list of devices. Once reconnected, you’ll hear an audible confirmation from the speaker. Your ULTIMATE EARS BOOM is now ready to use with the device you selected. Q: I’m being warned that the ULTIMATE EARS BOOM Update Assistant cannot be opened because it is from an unidentified developer. Is it safe and how do I move forward with updating my ULTIMATE EARS BOOM? In the Finder, locate the Update Assistant. Don’t use Launchpad to do this. Launchpad doesn’t allow you to access the shortcut menu. Press the Control key, then click the Update Assistant icon. Choose Open from the shortcut menu. Head to Apple.com for more information on their security settings. Q: How do I update the software on my ULTIMATE EARS BOOM? Your ULTIMATE EARS speaker gets better all the time through regular, over-the-air updates. These updates are quick and easy and can be wirelessly downloaded through your ULTIMATE EARS speaker app. To get started, connect your ULTIMATE EARS speaker to your smart device, open the app for your ULTIMATE EARS speaker, and tap on “More” to see if there are updates available. If there are, just tap to begin the update and the app will take care of the rest. While it is quickest and easiest to update over-the-air with the app for your ULTIMATE EARS speaker, if you can’t update using the app or you simply prefer to use an old-school desktop updater, we’ve still got you covered. Click on the Mac or Windows download link below to download the update utility. After you download the app, run it and follow the on-screen instructions. You’ll need to connect your ULTIMATE EARS BOOM to your computer to complete the update. REQUIREMENTS: This update supports Windows 7 and above, Mac OS X (10.8.x) and above. Q: Can I get spare parts for my speaker? A: Yes, there are replacement accessory parts you can get for your ULTIMATE EARS BOOM. If you need a replacement part, please contact support to obtain a replacement. Q: Can I change the name of my ULTIMATE EARS BOOM? A: You can change the way your speaker is displayed in the ULTIMATE EARS BOOM app. Connect your device to your ULTIMATE EARS BOOM. Tap Speaker name and enter the new name for your speaker. NOTE: You might have to un-pair and re-pair your speaker for the changes to take effect. Open your Bluetooth device menu. Locate your ULTIMATE EARS BOOM and tap the Settings icon next to it. Tap Rename and enter the new name for your speaker. You can’t change the display name of your ULTIMATE EARS BOOM in the iOS Bluetooth device menu.